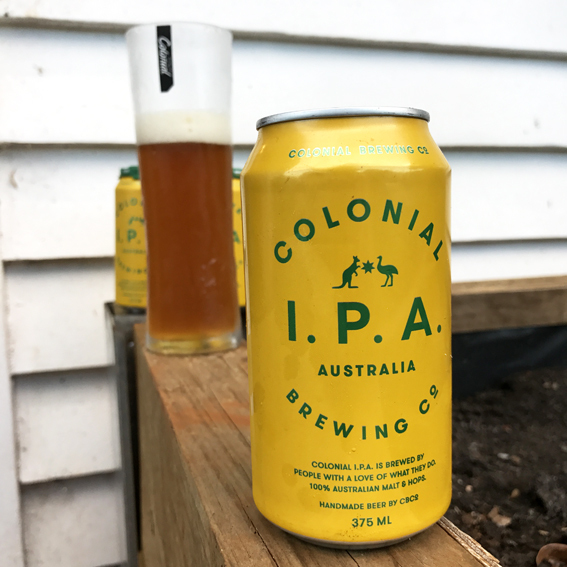 There was a special ‘Australia Day’ deal at the Gooner IGA, buy a six-pack of Colonial IPA and receive a free glass. Seemed like a pretty good deal, only I like to think of it as buy a glass and get a six-pack of beer free. Free beer always tastes better! I love this beer! Caramel sugar brown in colour it has a warm, sweet aroma. So, it looks good, smells good and then you taste it! First up is the sweetness of old fashioned barley sugar, a beautiful warm and nostalgic flavour, subtly balanced with a refreshing bitter finish. My new favourite beer. And get this. 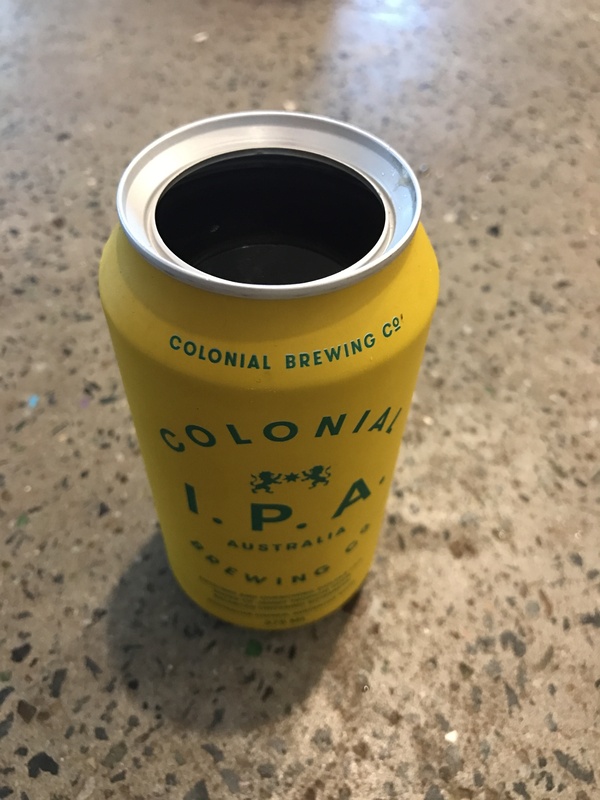 The clever people at Colonial Brewing Co have come up with the innovation we’ve all been waiting for, a pull-ring that turns the can into a drinking vessel you can actually drink from ……..
From the future of drinking we go to the future of heads, here’s the Futureheads with Decent Days And Nights……. 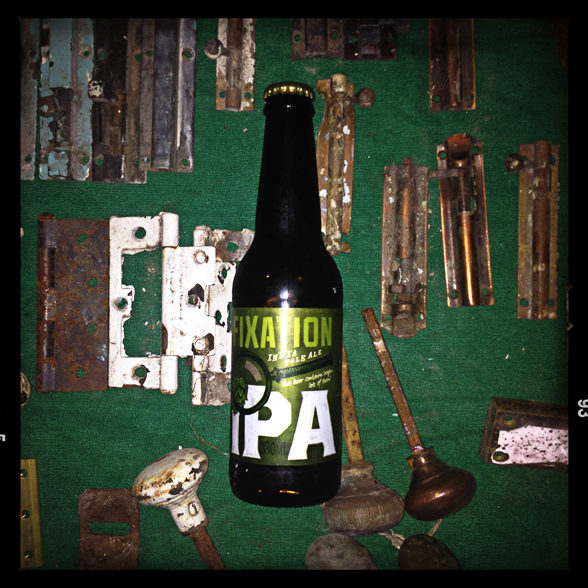 Fixation IPA – Jim’ll fix it for you! OK, let’s get this straight. When I do a tasting, I taste first, write my notes (or direct to the blog) and then check out the website of the brewery. That way I’m not swayed by what the brewery writes and no one is putting words in my mouth. If I want anything out in my mouth it’s beer. Actually, that was copied straight off the website. To be honest, I could only taste 3 different hop varieties but who’s counting? So what’s to add? Well, only that this little brew has probably got less carbon miles (for me at any rate) than most I taste. 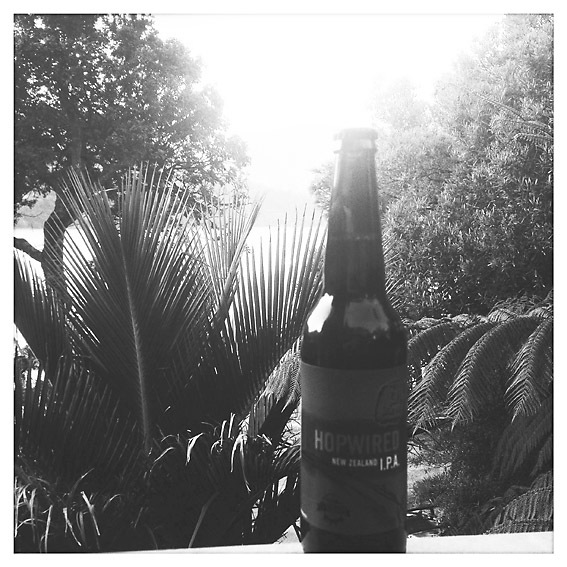 It’s brewed just down the road in Byron Bay. At 6.5% it’s has that American IPA punch that we all love and I’m beginning to regret I bought just the one. Believe the hype! After a few of these I’d be a right Dizzee Rascal. Here’s “Fix Up Look Sharp” (warning: contains bad f$*kin’ language)……. First up, apologies for the photo. This looks like I used a Saint Vitus Dance chromatic aberration filter. If only I had a camera. 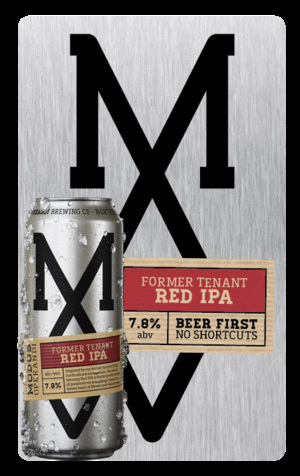 Former Tenant Red IPA – why the hell did they move out? You’ve got the love this beer’s MO. Marmalade orange in colour, it has an inviting aroma of tropical fruit. Coming in at 7.8%, you’d expect this IPA to slap you round the face a bit but it’s surprisingly soft and complex, with undertones of candied orange and Christmas crystallised fruits. It’s a sure-fire winner and the crew at Modus Operandi on Sydney’s Northern Beaches should hold their head high. I’ll be looking out for more of their MO! 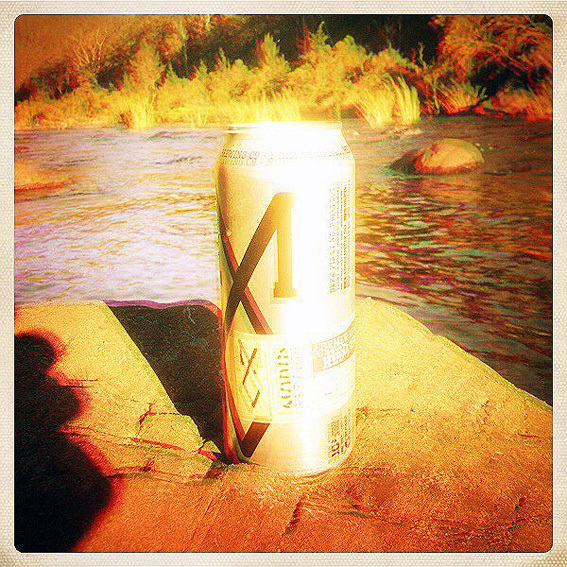 Best drunk by a river. 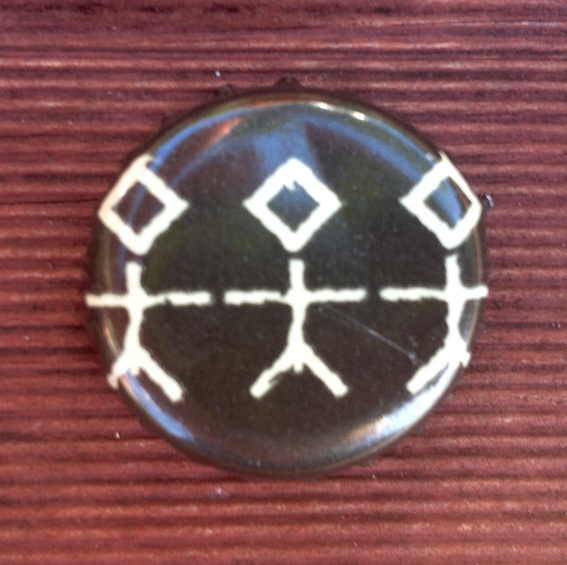 Here’s the a suitable lo-fi Siouxsie and the Banshees with, ‘Tenant’…. And no, that’s not what you think it is …….. 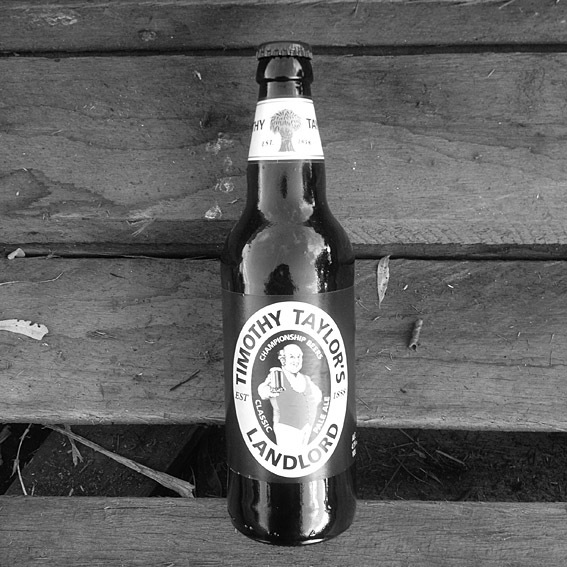 This fine Yorkshire ale normally retails in Oz for around $8 a bottle, so when I saw it on the special’s table at Desperate Dan’s, going for $2.49, I jumped at the chance ………. 3 times. Timothy Taylor’s Landlord a classic and much-awarded English IPA, perfect for an evening in front of the newly-installed wood-burning stove. I drank it at room temperature and found it to be a smooth as silk. Antique pine in colour, it has the mild aroma of citrus fruit and suede elbow patches. Without the carbonation characteristic of Australian and American IPA’s, it’s n easy drinking ale, sweet and nutty. Sweet as a nut, you might say. I’ll be keeping an eye out for it on the hand pump next time I’m in the Old Dart. Quite fittingly, this was the B-side to “Message In A Bottle”, here’s The Police with “Landlord” ………..
Based in the aptly-named Downington, Pennsylvania, the Victory Brewing Company have been doing the business since 1996. 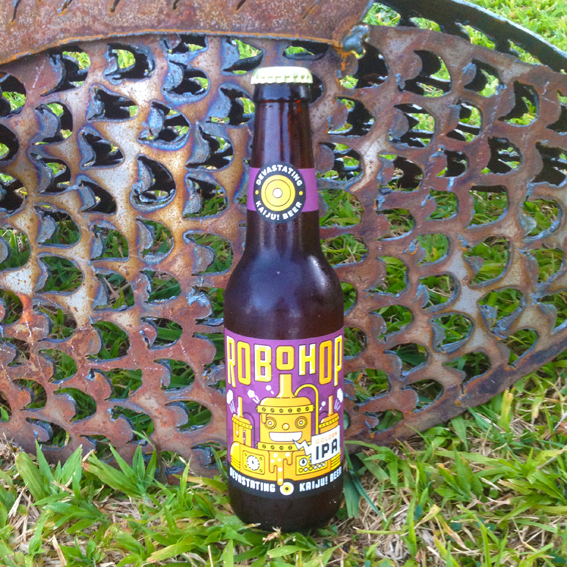 I chanced upon their ‘Hop Devil’ whilst on a brief visit to Lennox Head. I don’t think any beer deserves to be left on the shelf, so I grabbed the last bottle. After drinking it, I wished there had been a six-pack. 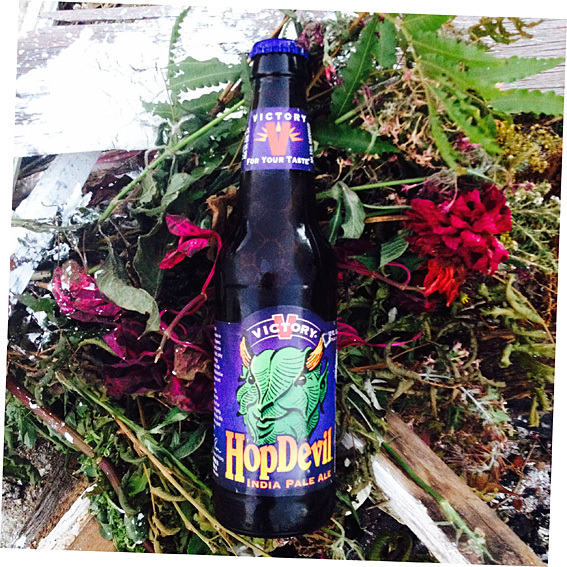 Hop Devil IPA – it’s helllish good! I expect a bit of bite from an American IPA and Hop Devil doesn’t disappoint. The aroma is yeasty and there’s deep, rich hop flavours. I taste hints of blackcurrant and Navel Orange rind. Brewed using whole hop flowers and not pellets the result is complex and rewarding. The devil is in the detail. I was going to include a pun about Beelzebubbles …….. but decided against it. Here’s The Cult with ‘Li’l Devil’ ………………. 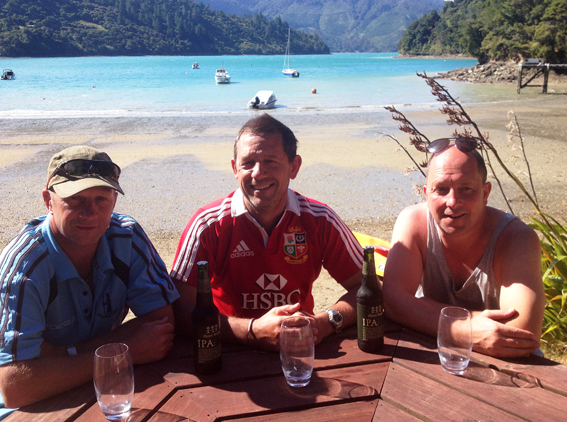 Sierra Nevada’s Harvest Fresh Hop IPA turns the tables on the current Southern Hemisphere trend. Whilst, increasingly, Southern Hemisphere breweries try to emulate the hop-packed flavours of American-style IPA’s, this American IPA uses fresh New Zealand grown hops to create a more smooth yet complex brew. 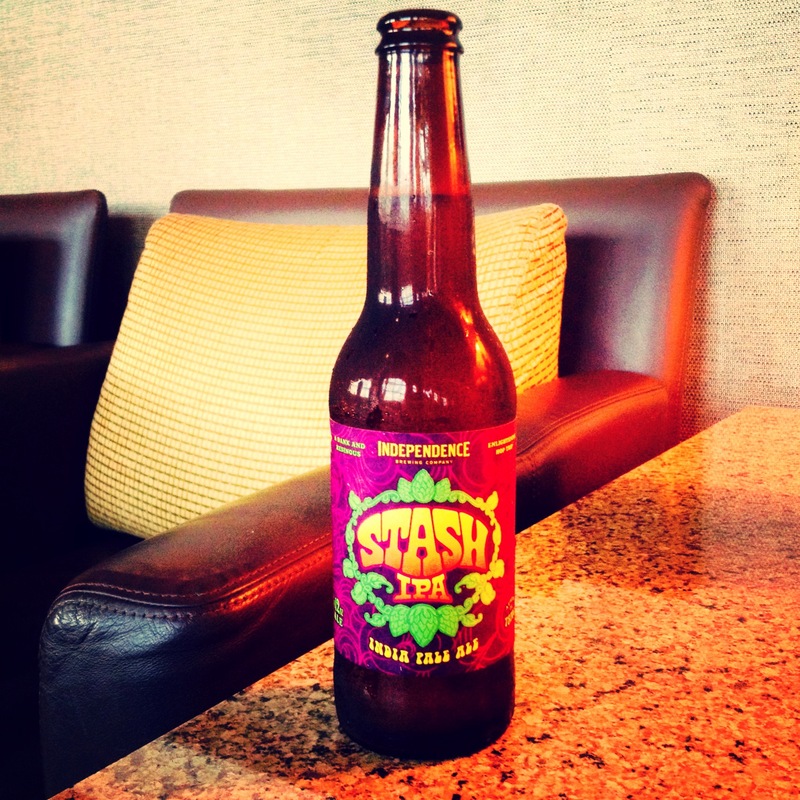 Sierra Nevada Harvest – Southern Hemisphere Fresh Hop IPA ….. it’s a bit of a mouthful! I’m a fan of the the Sierra Nevada brewery, its beers are full of taste and character and this member of its Harvest series is no different. Colour-wise it reminds me of my last beer, the Young’s Special London Ale, a beautiful orangey-brown. The aroma is fresh and floral as you’d expect with an IPA. The surprise comes with the taste. Unlike the beefed-up IPA’s, like Sierra Nevada’s Torpedo, this one is more subtle. The taste is hard to put your finger on, but the blend of Southern Cross, Pacifica, and Motueka hops makes for a fresh and exciting brew. There’s a characteristic bitter citrus finish, just enough to bring you back for more ….. but beware, weighing in at 6.7%, it’s not beer for guzzling ……. unless you like that kind of thing! 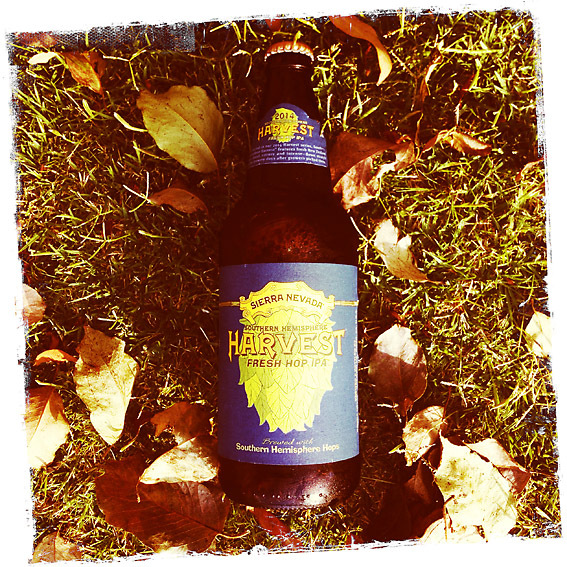 Here’s another American pale, Neil Young, with ‘Harvest Moon’ …….